The Delta DTC Modular Temperature Controllers are Delta’s line of modular temperature controllers and are a versatile solution to various industrial applications including precision temperature control in heating or cooling systems. – PID, on/off, manual control or programmable PID control. – Programmable control gives up to 64 temperature and time settings. – Dual loop output control (standard, heating and cooling). – Universal sensor inputs and analogue input. – Choice of 4 output types. – Modular configuration allows monitoring of up to 8 temperature points. – 2 groups of alarm switches with 12 alarm modes. – Setting and recording by DTCCOM software. – Supply voltage: 24VDC ±10%. 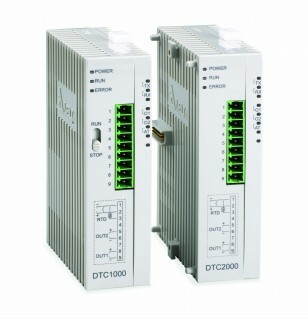 – Power consumption: 3VA + 3VA x number of DTC2000 extension modules. – Sampling rate: 400ms, (150ms for analogue input). • Thermocouple – K, J, T, E, N, R, S, B, L, U, Txk. • 3 Wire platinum RTD – Pt100, JPt100. • Analogue input – 0-5V, 0-10V, 0-20mA, 4-20mA, 0-50mA. – Control mode: PID, programmable PID, on/off, manual. • Relay – SPST, AC15 250VAC 3A. • Voltage pulse – 12VDC 40mA. • Current – 4 to 20mA (max 500Ω). • Analogue voltage – 0-10V (load > 1000Ω). – Alarm outputs: 2 groups. 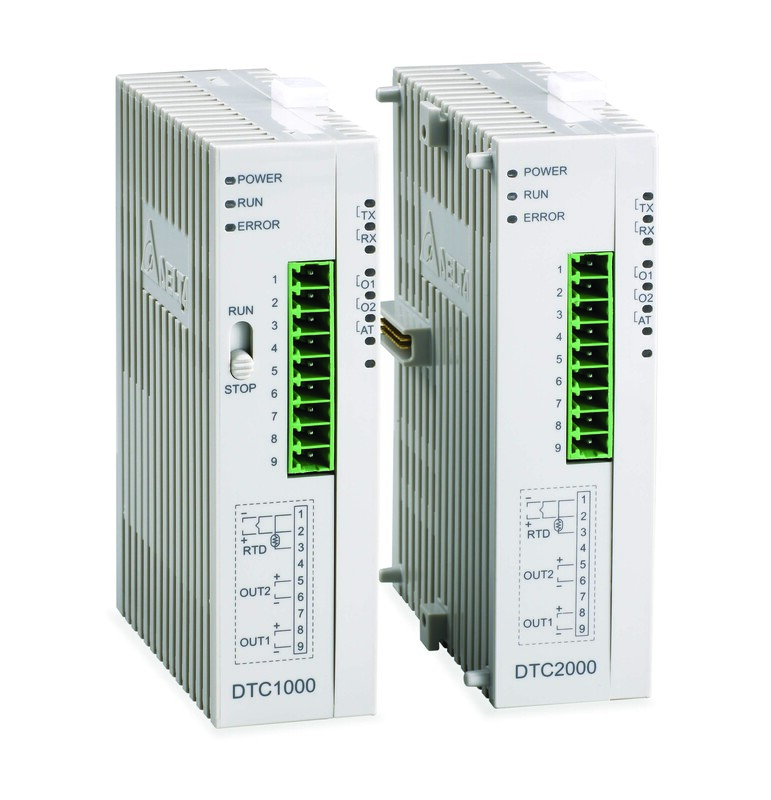 – Communication: RS-485 optional (2,400-38,400bps), Modbus ASCII/RTU. – Ambient temp range: 0 to 50℃.